Villa La Semilla was created with heart and intention, believing that when you nurture something, it blossoms right before your eyes into something extraordinary. The brand of La Semilla, the Spanish word for seed, is rooted in simple beauty and simple pleasures, respect for all living creatures and the quiet brilliance of nature. The owners, Angie and Alexis, encourage the slow approach to life where quiet moments with nature allow you to disconnect with the busy, fast-paced world and reconnect with the earth, each other, and yourself. Each of the 5 uniquely designed suites feature a terrace, sitting area and large en-suite bathroom. Some rooms cater to guests needing two beds, which is ideal for children, while others play host to king size beds. The third-floor Master Suite also has its own plunge pool and large terrace with private outdoor sitting area with incredible views of the turquoise Bay. 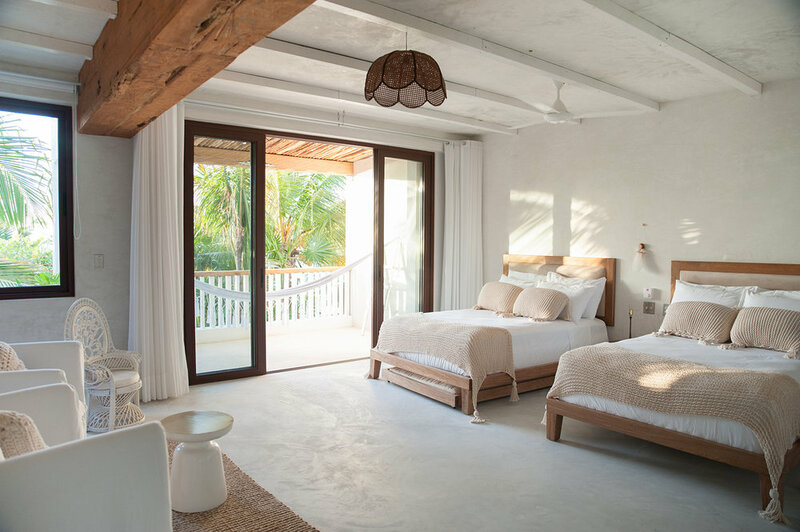 Adhering to the aesthetics of coastal Mexico and in harmony with nature, the interiors are characterized by an abundance of natural materials and simple, well-made furnishings. Off-white walls and white sofas keep the property’s visual identity minimalistic, while the occasional tropical touch manifests itself in the form of colorfully patterned bathroom tiles and local artworks. Light fixtures also range from rattan to glass to chandelier, providing a unique undertone to each room. 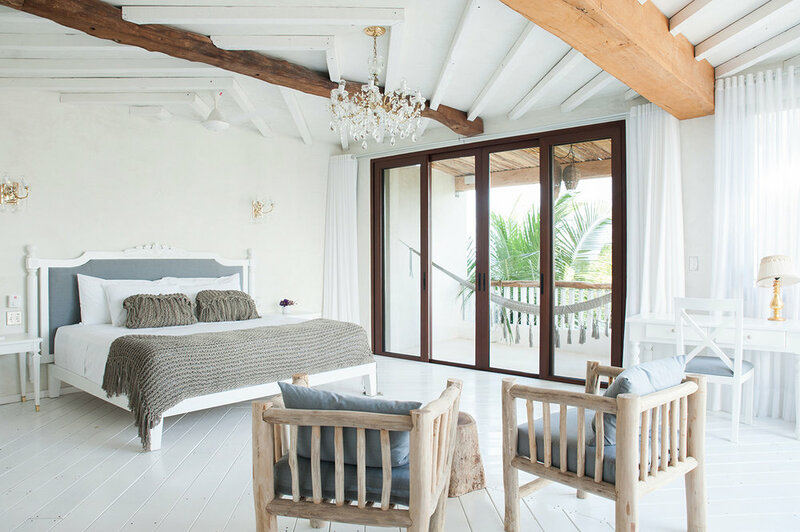 To ensure that guests feel taken care of, the Villa includes maintenance and housekeeping services in the form of a sweet couple that lives in a separate home at the entrance of the property. They are available 24 hours to assist in anything you may need. The home is cleaned daily. Additional services such as in-house massage, yoga, pilates, water-sports, car rental and airport trasnfer are available upon request. Just 15 minutes north of Tulum village and 35 min south of Playa Del Carmen, Soliman Bay is a secluded, beachfront community made up of private villas and vacation homes with virtually no commercial development. In this tucked away strip of beach, you will find Villa La Semilla hidden between the bay and the mangrove jungle. The closest international airport, Cancun, (CUN) is 1 1/2hr drive away. Maximum amount of guests: 16. This is the place to come to relax with a group of friends or family and enjoy the quietness of the Bay. Although Tulum is close enough to enjoy the nightlife, Soliman Bay exudes a serene energy that should be respected. They lend support in creating customized itineraries to help you get the most out of your stay. From Mayan Ruin tours, to spa treatments, to private yoga classes—their bespoke concierge service is available to create the most memorable and individual vacation experience. Check out their sister property, Hotel La Semilla, in Playa Del Carmen!